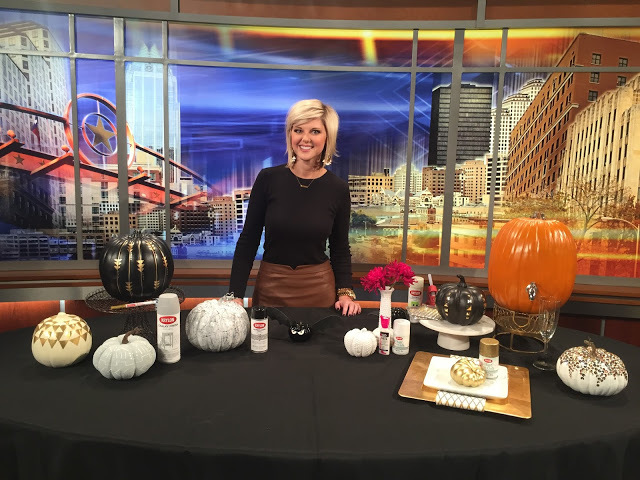 Earlier this week I was back at FOX 7’s Good Day Austin to share this year’s no-carve pumpkin decorating ideas. 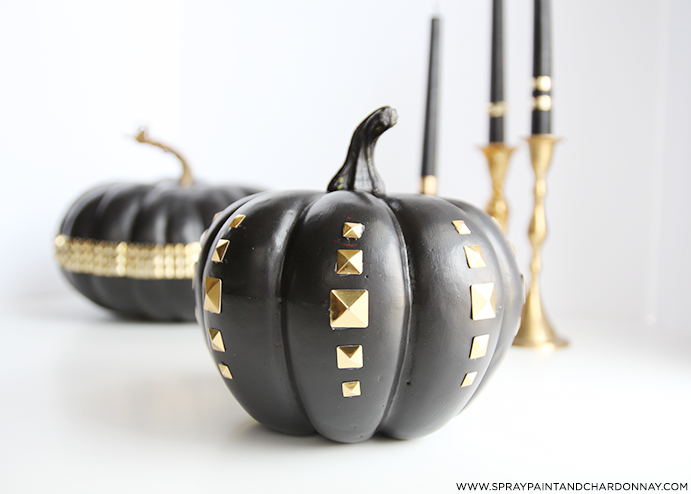 This annual segment has easily become my favorite because pumpkins prove themselves year after year to be the perfect canvas for any project–especially faux pumpkins! 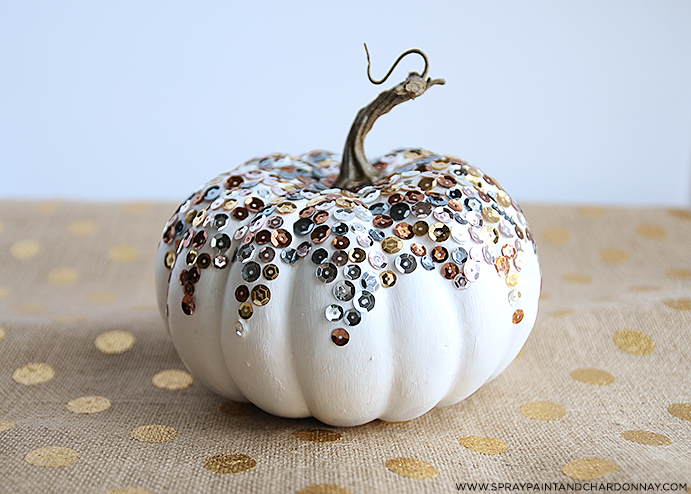 Whether it’s paint, sequins, gild or glitter, the options are endless when it comes to no-carve decorating. 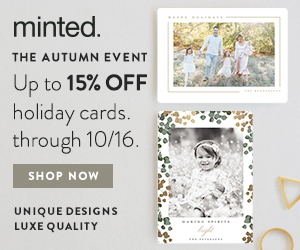 Click the video to find out my favorite ways to dress them up, and read below for full tutorials on each project featured! As I mentioned in the segment, “paint pens are your best friends!” The options are really endless when it comes to paint pens, as they’re great for embellishing literally anything. 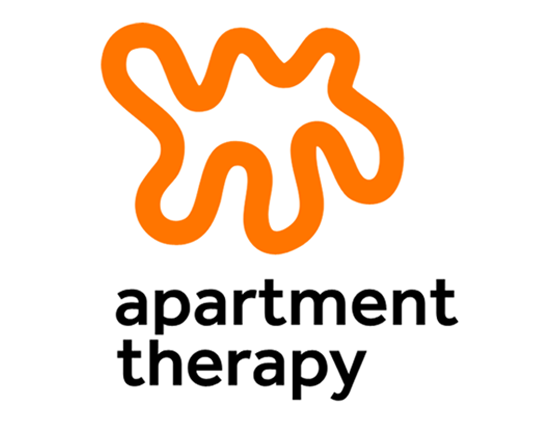 This tribal design was inspired by the very talented Kara of A Kailo Chic Life. She has a ton of great Halloween entertaining ideas! 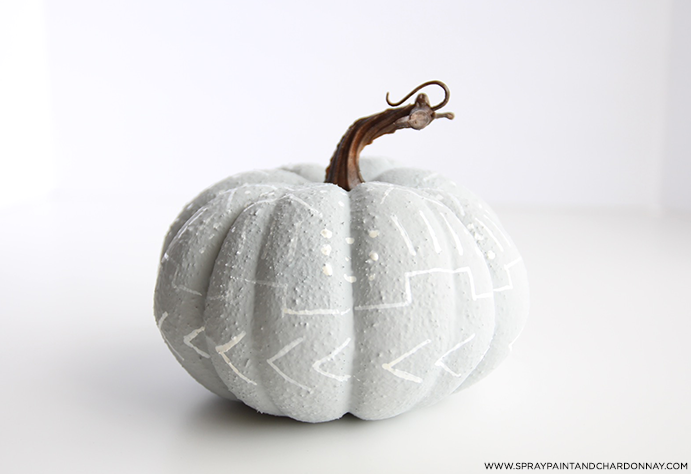 Last year I shared my Chalkboard Paint Pumpkin DIY, but this year’s pumpkin is a little more muted using Krylon’s Chalky Finish Paint in Misty Gray. For the tribal design, I just used a trusty white paint pen, and voila! 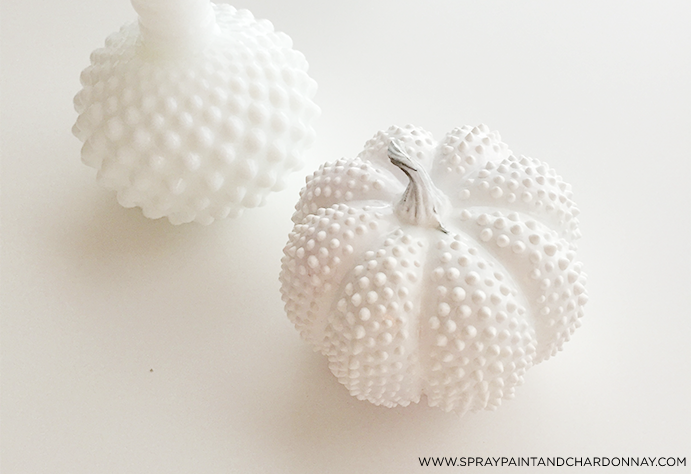 Next to the Hobnail Milk Glass Pumpkin, this is another favorite way to decorate pumpkins! 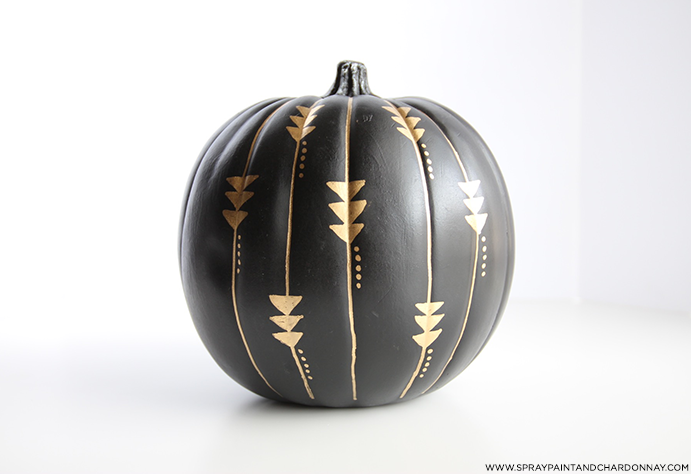 First, I spray painted this pumpkin white, let it completely dry, and then went back over it with Krylon’s Marbelizing Spray in Black Lava. 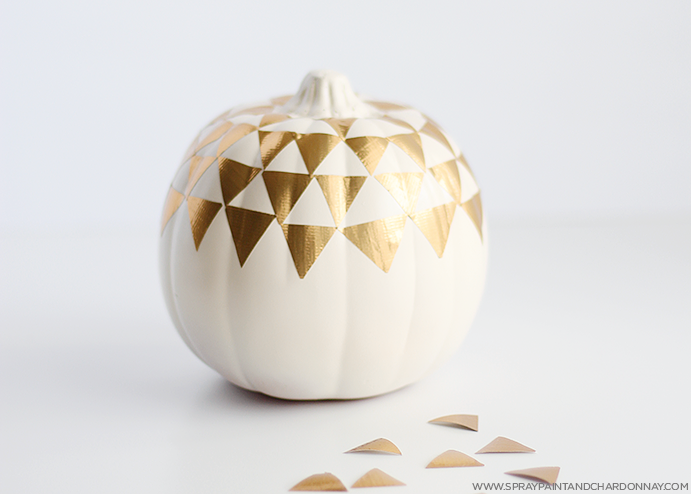 As I also mentioned in the segment, this paint takes a bit of getting used to, but it’s super fun to play with and creates an awesome effect on your pumpkin. I can’t wait to try it out on other projects! This one definitely is favorite for this year!!! I shared the full tutorial earlier this week, so be sure to check it out here. 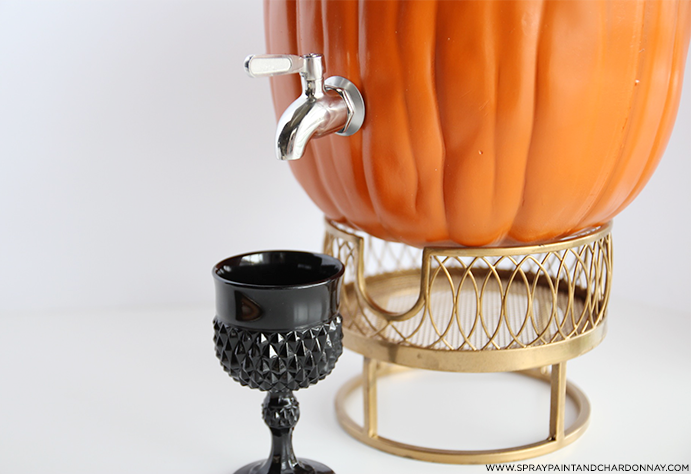 Just like my favored Watermelon Drink Dispenser from last summer, a pumpkin can serve the same purpose! 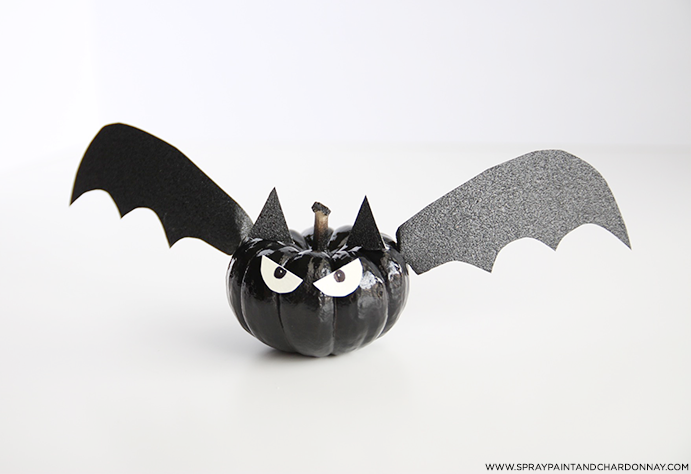 If you don’t have a spigot for your pumpkin, fear not! 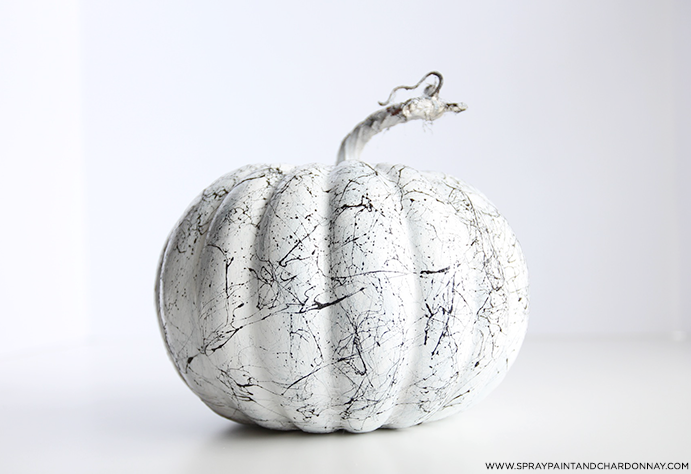 Simply take the bag out of a box of wine, and place it in your pumpkin! 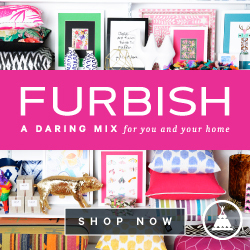 Plus, the bag keeps your wine or cocktail pumpkin-free. Because let’s face it, actual pumpkins don’t taste like that PSL that you know and love…You can read the tutorial here. I’m obsessed with this little guy! Even though he looks pretty ticked off, he’s just so cute! While I used scrap book paper and a hot glue gun, here’s a tutorial that’s a little more ‘kid-friendly’ for your little ones! Oh! And while you can’t very well tell in this photo, his little eyes glow in the dark, thanks to Krylon’s Glowz spray paint! Spooooooky! 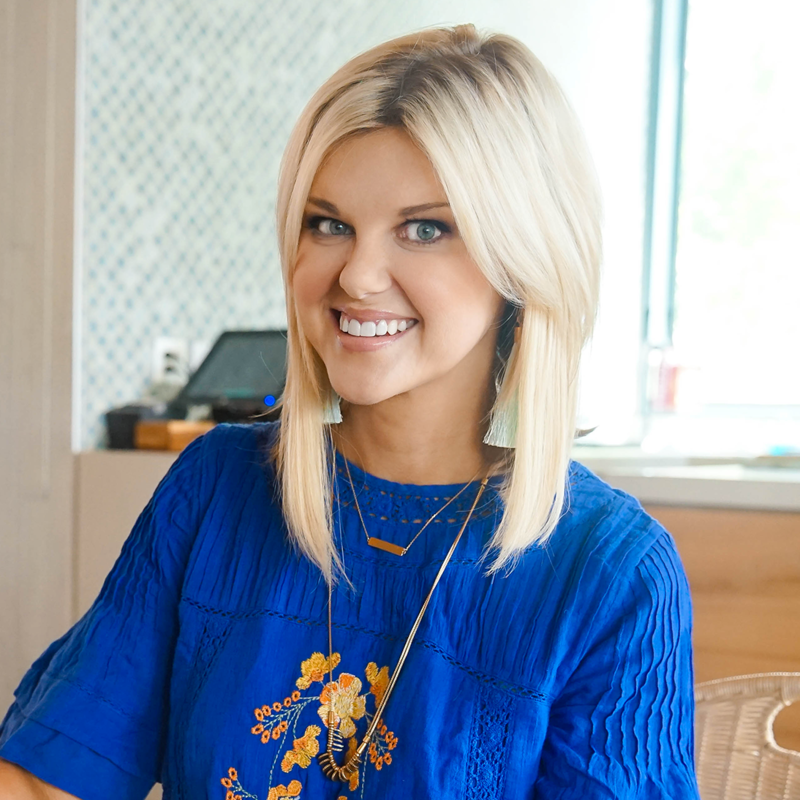 And in case you missed some of my favorite no-carve ideas from last year, be sure to check them out at the links below!